Situated off the North Carolina coast on the famous barrier islands of Hatteras, this Outer Banks destination is known for its natural beaches, its historic lighthouses, and for its famous residents who have included Orville and Wilbur Wright and the notorious pirate, Blackbeard. 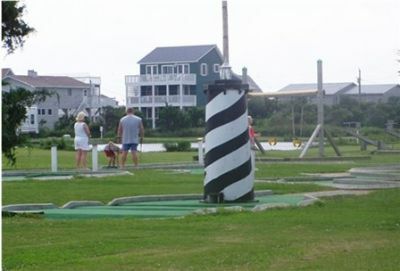 Affiliated with Good Sam, the Family Motor Coach Association, and EZ Camper OBX, Camp Hatteras Campground offers seasonal options, memberships, and a variety of special rates including discounts for active and retired military. The best rates, however, are always for campers who have bought or rented their vacation time on the resale marketplace. No RV? No problem! At the Camp Hatteras Resort & RV Park, Park Model Units are available. These rental cabins sleep up to six vacationers and have a full kitchen, a bathroom, are fully furnished, have cable television, heating and air conditioning, and a patio area with picnic table. Basic cookware and eating utensils are included, however towels, sheets, and other linens are not. Campsites at Camp Hatteras Resort & RV Park range from oceanfront to ocean side, to sound front and sound side, as well as tent camping sites. All sites are full hook-up locations with water, sewer, and 30 and 50 AMP electrical service. Also, all camping sites have concrete pads with patios and a picnic table. On-property amenities that campers appreciate are the paved roads (you won’t get stuck in the sand), an indoor heated pool, an outdoor pool, kiddie pool, a jacuzzi, a marina with water sports equipment rentals, five bathhouses with showers, four laundry facilities, and a club house. The property also includes sports courts for basketball, tennis and shuffleboard, a playground, mini golf course, bike rentals, planned activities and crafts, a dog park, an exercise course, a well-stocked camp store, a guardhouse with security, and non-denominational worship services on Sunday. 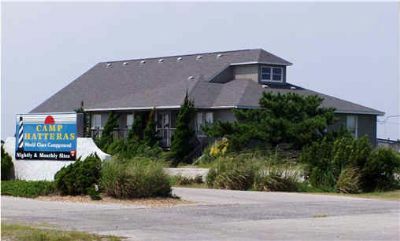 Contact Camp Hatteras Resort & RV Park Specialist Today!